Create an account if you don’t already have one. Note: this account is different than your normal ExactTarget account. Create a new API Integration with name “ZAIUS” and package “zaius”. Click "Next". 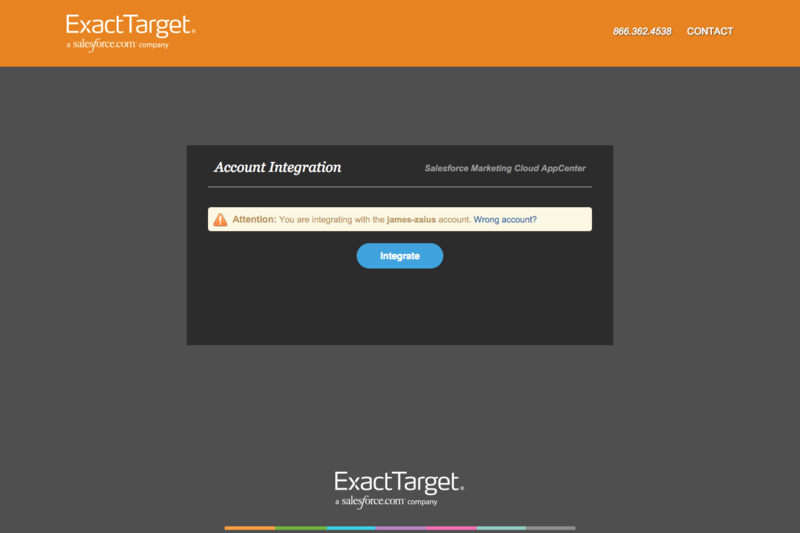 In the pop-up, confirm that the account is correct and click "Integrate". Review your options and click "Finish". 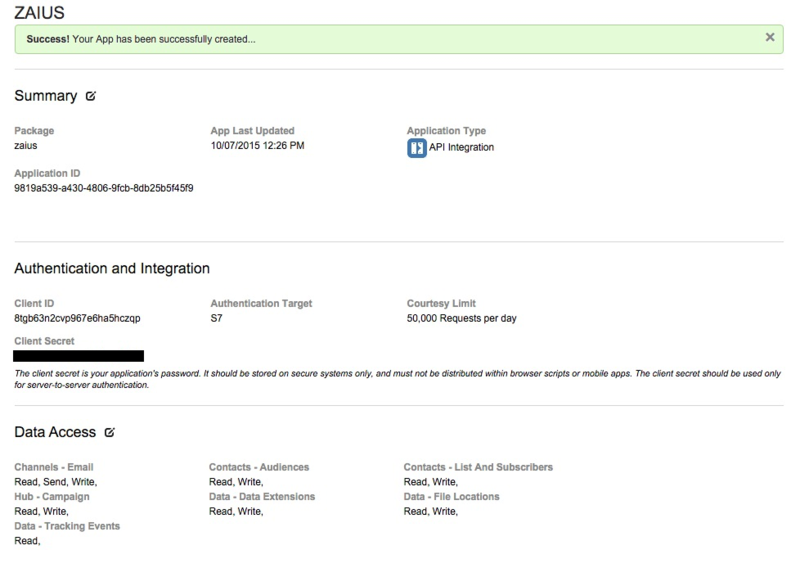 Navigate to Cog Icon > Data Management > Integrations. Select the Exact Target Tab. 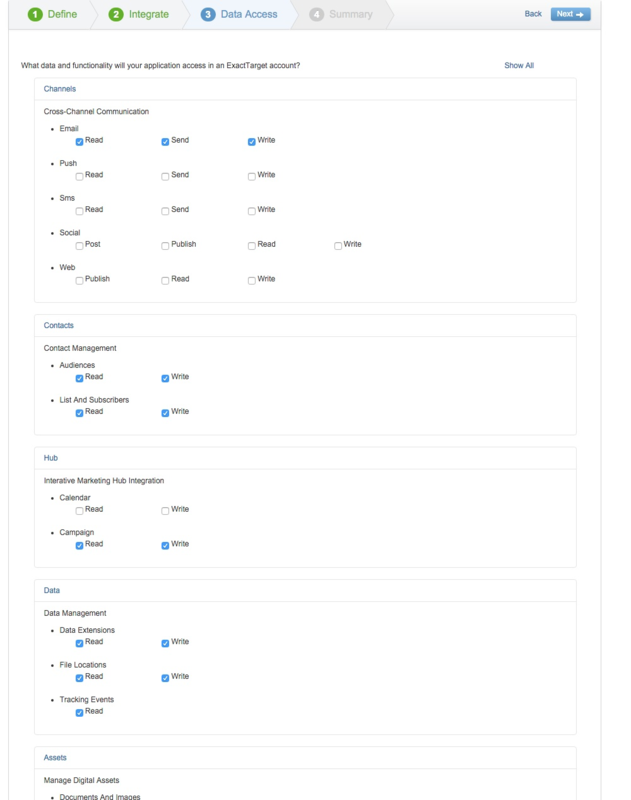 Fill in your details to match the those from Salesforce Marketing Cloud App Center. 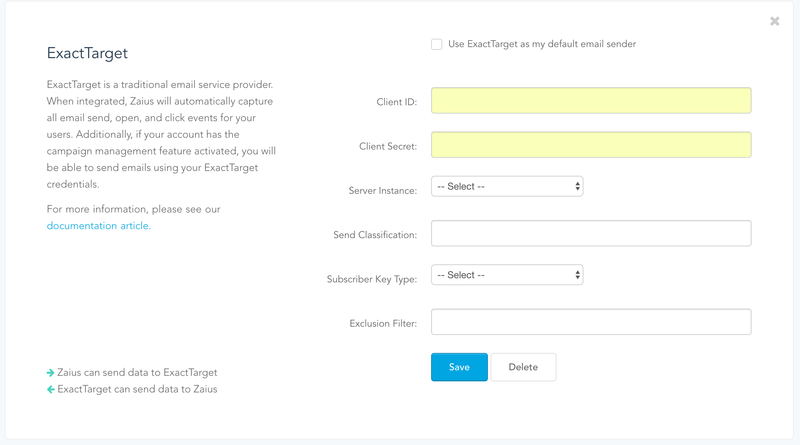 Fill in the Send Classification (use External Key not name) and Exclusion Filter to match how you usually send from ExactTarget.